When designing a website, whether through a service or independently, many first-time business owners aren’t sure of whether to prioritize a mobile friendly or a traditional desktop site. First off, it is important to understand the differences between Desktop and Mobile sites. From there this article will cover both the need for a mobile version of your website, as well as some tips for maximum performance and the most efficient results. There are many factors that play into how a mobile website performs, as well as how a mobile website is perceived. If your business is not fully utilizing the mobile options available to it, you are losing out. Don’t keep missing out on these additional leads and results, read on watch your mobile traffic boom. 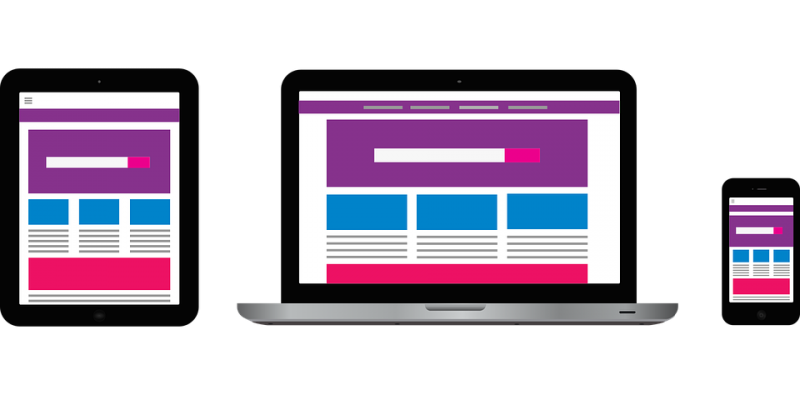 The Desktop friendly version of a website is most likely what first comes to mind when you think of a website. These are the versions that you access on your computer through browsers such as internet explorer. Desktop friendly sites are laid out in the landscape format and make advantage of the wide screen that most laptops and personal computers have to offer. Desktop friendly versions of a website are traditional denser, i.e. there is more content presented on a single page. This is partially due to the larger ratio of the desktop screen, but primarily due to the available computing power that the website has to work with on an average PC or Mac. Because the excess of information, programs, and visuals that are displayed on the average website is too large for most mobile devices’ screens and hardware, a mobile site is needed to efficiently run a website on a mobile device. The mobile version of a website is not the same thing as an app. While most major corporations and many businesses have a dedicated app of their own, there is still a strong need for mobile websites. The mobile version of a website is accessed via a web browser, just as it would be on a desktop. However, because of the portrait orientation of most mobile device screens and the limited processing power available to them, the desktop version of a site runs poorly on mobile devices. If mobile users access your website and find a site that is slow, does not load in its entirety, and is poorly laid out, they may be deterred from seeing what your business really has to offer. A mobile friendly version of your website is oriented in portrait mode and often features a more “bare-bones” or trimmed back version of the content, features, and visuals displayed on a single given page. There are more mobile devices users than there are PC or Mac users, and this number continues to climb. More mobile users mean more visits to your website from mobile devices. If your website is not catering to these mobile users, then it is catering to the minority audience. Quite simply, you are losing out on your primary audience if you are choosing not to develop and maintain a mobile friendly website. Desktop sites are still necessary, but not nearly as much as they used to be. It is the age of mobile devices and websites tailored to their constraints. Even Search Engines have begun to prioritize mobile sites over desktop sites. Search Engine Optimization is constantly evolving. As part of this process, mobile websites have been prioritized over desktop sites since mobile usage overtook desktop usage in 2016. This means that Search Engines such as Google take the efficiency, relevancy, and performance of a website’s mobile capabilities into consideration with more pertinence than they do the desktop version. To your business, this means that competitors who do prioritize the mobile version of their website will receive a greater traffic yield. Websites that adhere to SEO standards rank higher on search engine results pages, have greater credibility, and return larger results. If your website does not have the search engines working in its favor, then the search engines are benefitting your competition and working against your website. In addition to increasing traffic results, a mobile friendly website enhances the user experience. Mobile users don’t want to have to search for content for a long period of time. They don’t want to be overwhelmed with information and displays either. Rather, mobile users expect websites to be fast, concise, and to contain the content, information, or products that they are searching for. A well-designed mobile website loads quickly, within seconds. It is easy to navigate and has appropriate menus and headings that organize everything available on the website for users to explore. By improving the user experience, you are enticing your users to return to your website. A website that leaves a good impression is one that users will remember and trust. Social Media is an important tool when promoting a business via any mobile platform. In fact, social media goes hand in hand with any properly optimized mobile website. Social Media is a multi-billion user market of often untapped potential. The primary device for browsing social media is a mobile phone or tablet. Because of this, website leads generated via social media are most likely going to accessed on a mobile device. If you are still prioritizing the desktop format of your website, you are hindering a user’s ability to smoothly transition from a social media link to your website and into your sales funnel. Make sure that users experience a quick and easy transition from Twitter or Facebook to your website in order to keep them satisfied and engaged with your business. Sales funnels are a crucial aspect of all of your business’ marketing strategies. Without an appropriate sales funnel, there is no means of generating sales save you personally messaging and selling to website visitors and/or social media followers. As part of the sales funnel process, you need to ensure that users are engaging with your website in order to eventually present them with the hard sell and start selling. If your website is not set up for mobile users, your sales funnel will suffer. A slow website, one that is not oriented correctly, or one that simply doesn’t function on mobile devices will interrupt your sales funnel process. Don’t let your sales suffer, start prioritizing mobile devices today. There are two primary options for developing your mobile site. In addition, there is a wide array of services and platforms with which you can create, develop, and maintain your website. Whether you use WordPress, Wix, or any other service, there are a plethora of tools available at your disposal. However, when developing a mobile website, it is important to decide whether to run an independent mobile website or an adaptive website. Basically, you must determine whether or not you wish to maintain two website or if you wish to adapt an existing desktop site into something that is more mobile friendly. A mobile only website is exactly what it sounds to be. A mobile only website is an extension, or even a unique platform, of your website designed specifically for mobile devices. These websites are generally much more stripped down than a desktop website. The number of links, images, and content blocks is typically much smaller, in order to better accommodate the screen ratio of a mobile phone. Text is often larger, and there are many cosmetic changes that adapt the source content of ease of use with touch screen input. A mobile only website may be beneficial to your business if you wish to completely retool your website across platforms. Mobile only websites allow for you to make changes without affecting the desktop platform. However, this also requires additional input on behalf of the website manager, as the second site has to be built and maintained separately from the first. An adaptive website is one that transitions layouts, design, and functions based on what type of device the user access it from. Adaptive websites are basically the same as the desktop version of a site but reformatted to ensure ease of use and speed for mobile users. Adaptive websites are easier to maintain, and most hosting sites take care of the tools that transition your content between desktop and mobile formats. If you want to create an efficient mobile site with as little hassle as possible, letting companies such as WordPress do the work for you is the way to go. In addition to maintaining a dedicated or adaptive mobile website, there are other steps that you can take in order to keep your content in top form when accessed from a phone or tablet. The same tactics that help your website keep up to date with SEO standards can help maintain your mobile website. This leads to greater search engine results, more successful marketing campaigns, and increased traffic to your website. Remember to test your sight regularly and to update whenever possible. Even if your website isn’t declining in quality, it is losing traffic if it is not keeping on par with other websites and changing SEO standards. Don’t fall behind, begin optimizing today. Slow websites are never good. If your website isn’t loading pages in a timely manner or is slower than your competitors, your business is at risk. Ensure that your website is running as quickly as possible by keeping it constantly up to date. If you have outdated plugins, they may slow your update plugins and content down. Perform regular performance and update checks to ensure that nothing falls behind without notice. If pages are slow to load or don’t load at all, these issues need to be fixed immediately or else users and search engines may discredit you. Nobody likes a confusing set of menus. Not every page or every aspect of your content needs its own complex system of menus. Make sure that your home page contains the necessary links and chains needed to quickly and smoothly navigate your website. A main menu can be compliment with more organized sub menus in order to declutter space. Place these submenus in the relevant hub pages and remember that ease of access should be a priority on your behalf for all visitors to your website. Easier navigation means that users are finding pertinent information in a timely manner, leaving them more satisfied with your website and with your business. When creating a mobile website, remember that the visual rules change between platforms. The smaller text, buttons, and blocks of a desktop side rarely translate directly into a satisfactory mobile site. Utilize larger buttons, larger fonts, and extra spacing between content in order to adapt your website to the limitations of the mobile screen, as well as the size and even clumsiness of the user’s fingers. Sizing not only makes your website look more professional, but it makes it easier to navigate and use on a mobile device. Test your website constantly. There are many back-end features available that will diagnose errors with plugins, visuals, speeds, and even text. In addition, you can always serve as your primary source of feedback. If you are not happy with how your website looks, runs, or feels, then your customers will probably come away with the same decision. Test your website on a regular basis to make sure that customers are satisfied and that your website runs smoothly on mobile devices. Mobile websites are no longer option. The number of individuals access the web from a mobile device increases daily, and it has long eclipsed desktop traffic. Don’t lose out on potential customers by delivering a lackluster or faulty mobile website. Keep your website mobile friendly, up to date, and speedy to ensure that visitors are having the best possible experience. By following the tips laid out above, you can set yourself and your business up for success in the mobile era.